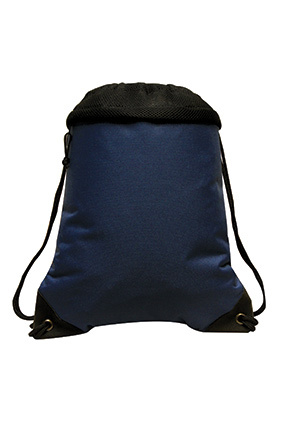 600 denier polyester drawstring backpack with front zipper pocket. Mesh foam fabric at top of pack provides flexible bag opening to compliment the durability of the polyester bag. Large decorating area.